Share My Guitar has a run down on their trip to one of the more unique music stores I’ve ever heard about. Downtown Vintage Guitars (two websites basic info and blog style) is at 1106 S 3RD ST near Charleston Blvd just a few miles from the strip. So what’s so special about this place? Well they have a collection of handmade guitars, consignment guitars, and do repairs and modifications. Still not that different right? Well the consignment guitars happen to be rather high end and feature some interesting autographed guitars. 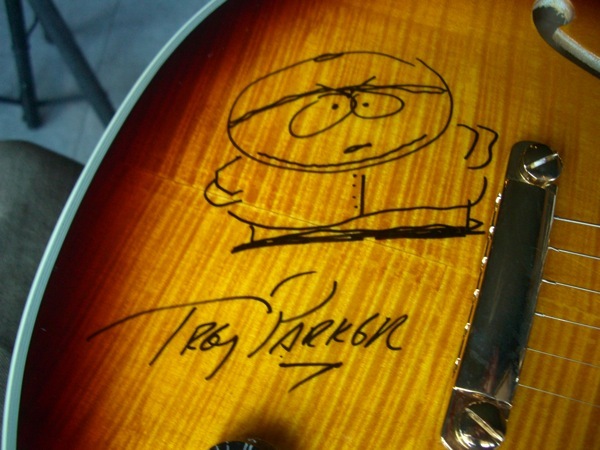 For example this Les Paul signed by Trey Parker of South Park that has drawings of Cartman and Kenny on it. The whole place has a laid back feel of a multimillionaire guitar player’s basement. And to really push the whole thing over the edge, several nights a week they host concerts on the stage in the showroom and open a full bar up. Take a look at SMG’s review and the store websites and by all mean check it out the next time you’re in Vegas. 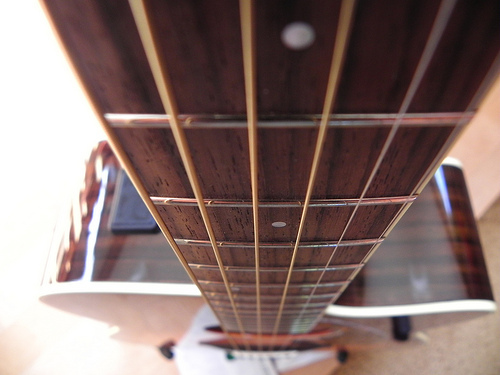 Once you’ve picked up the strings, you’ll need something to play. Try out Jody’s Drop D Metal Licks premium lesson. HEAVIER STRINGS CAN SOUND BIGGER… BUT NOT ALWAYS: Thicker strings can make you sound bigger, but only if partnered with an appropriate playing style. If you hammer the strings hard to get a lot of movement out of those wires, going up a gauge or two might suite your playing style fine. 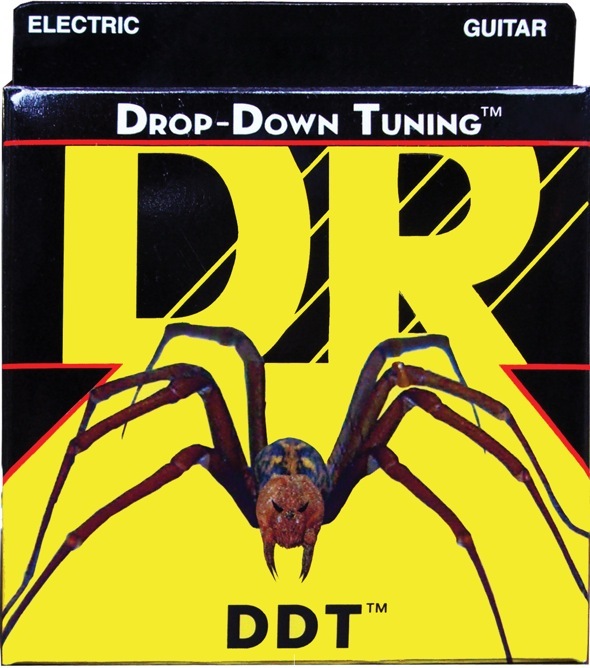 But if you’re a more delicate player, you might not get those strings moving, and going up a gauge might just choke your tone. Jimi Hendrix is known to have used .009 and .010 sets, and tone monsters Jeff Beck and Jimmy Page both purportedly used super-light sets with .008 high-E strings. Wimps? Ha! SRV used .012 or .013 sets, but also tuned his Strats down a half-step to Eb, which makes a .012 feel more like an .011. If you ask experts what makes them so good, they are likely to give general answers that do not reveal much. But if you can get them to tell you about tough cases, nonroutine events where their skills made the difference, then you have a pathway into their perspective, into the way they are seeing the world (p. 189). Ask your teacher what she did the first time she performed. Ask him how he practiced that difficult bit in a piece, even if it’s not a piece you’re working on the lessons in those stories can often be applied to other works. Ask about their early years or playing and what they did to get better during them. This seems like a great idea to me. 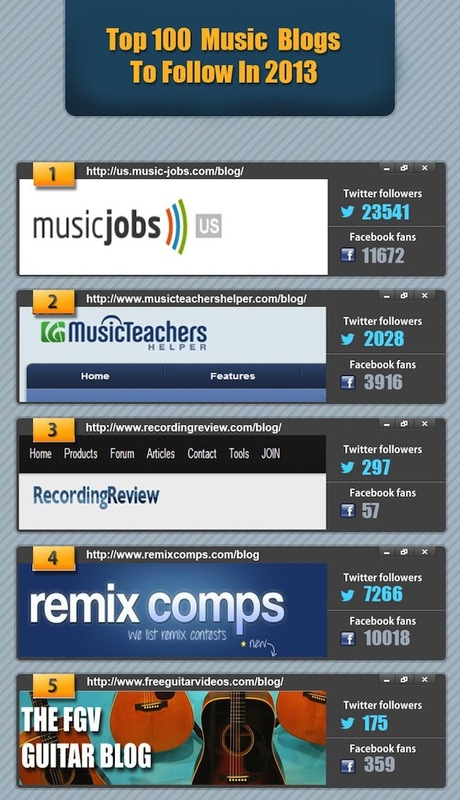 Many teachers eventually fall into a rhythm. They are teaching the same things to new students over and over every year. It’s efficient, it’s easy, and it works. But every now and then, you should push them for more so that you get the most for your money. Instead of always asking “how do I”? Challenge your teacher with a “How did you”?